We all recall the news in 2015 when it was announced two freshmen would be starting in the OL vs Ga. But Jack Jones and Chance Hall played pretty well that day and held their own vs Bama the following game. 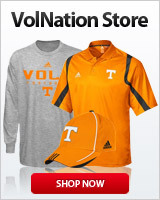 In fact I think they started the rest of the season on that right side while the Vols won out after bama, a 19-14 loss. I can’t help but wonder how their careers may have been different if they’d been able to be redshirted and been in a legitimate strength program instead of the scout troop program of CBJ. Injuries often occur when players play too early. Either were are big as some of the recent signees. I think both would still be playing and Tennessee football would have benefited significantly the last two yrs and this coming season if they’d had the chance to develop. It’s not all on CBJ either. He had to play these guys early cause dumbass Dooley went a full season with NO OL signees and did a poor job on the ones he did sign the yrs before. If you want an example of how bad hires impact you down the road, here’s one. Jack Jones had that nasty streak, and too bad he couldn't finish his college career. Who knows on the "playing too early thing"...could be something to it, but all those injuries in back to back years really kinda put us in the spot we're in right now...in addition to lack developing depth behind them, or recruiting depth behind them. Edit....just saw the news on Chance Hall. Really too bad. Saw Jones play in high school. He was a relentless OLman, and I'm certain had he stayed healthy, we would've have seen him on Sundays. One of my favorite player in that cycle. Hate it for him. I don't know about Sundays but I agree he seemed to have tremendous potential that fell apart. Thats the product of making a gym teacher a football coach. Criminal imo. Marcus is another example of someone having to play too early. He played well vs Aljen of UK so I think he has ability. Butch jones should have been fired for cause. I think at the point in the injury carousel that he may have been the best option too. We were gutted of OL and Jones stripped off Tatum's RS that day. He desperately needed that RS year too. Was not ready. Lord, those NFL DEs had a field day on the poor kid. Jack Jones had a congenital narrowing of the spine and Chance Hall blew his Achilles in high school. Lot of coaches drop a 3 star with that prognosis. Lot of OL mishandling to go around...these aren’t the best examples. Dooley played OL's early... who completed their careers at UT and are playing on Sunday. It is all on Jones. His "techniques" were quietly questioned by former players when watching practice in that first year... and not quite as quietly rejected by the really good OL's Dooley left him. Pile on top of that his "innovation" in S&C, diet mgt, sleep mgt, et al that produced slow, small, weak OL's... and you have the answer as to why guys stayed hurt. At no point after the first year did Jones have a stable starting line up or top 7 OL's. Jones did that all by himself. How about for "Impersonating" a Football Coach!!!! Jack Jones had potential to be an NFL Draft pick. Such a shame injuries held him back. Butch Jones was and still is a moron. That is all. He’s like the Maxine Waters of football, really. Jack Jones is not a good example for your post. Jack had a congenital health issue that had nothing to do with the S&C program. My wife and Jack’s mother are first cousins, and it was a family decision for Jack to give up football. He was living his dream. I have talked personally with Jack since his decision, and he is handling this extremely well. Jack will graduate this Spring, and he will be very successful in his life. He was all Vol, too! I hate it for the kid! I was mistaken then. I thought it was recurring shoulder and neck injury that caused his retirement. No where in my post did i question that Jack Jones dealing with this in a positive manner or that he would be successful in other areas of his life. I think the AD was a moron for hiring BJ and allowing UT to owe him 8 mil. for not coaching!! Was just sharing information and opinion. In no way was I trying to be negative to your post. Things happen like with Jack Jones. But Butch Jones' philosophies and ideas consistently resulted in poorly developed and coached OL's. He talked about the "fine points" of winning football like measuring sleep and about redefining SEC football with his "brand". He ignored the basics and failed at the fundamentals. The first OL he inherited. They did things Pittman's way. For the most part the same 5 guys started and performed reasonably well in spite of Jones' "system". For the next 4 years, the OL was in constant flux due to one injury after another. That's poor development, S&C, scheme, and technique. Jones is one of the worst coaches I've seen.